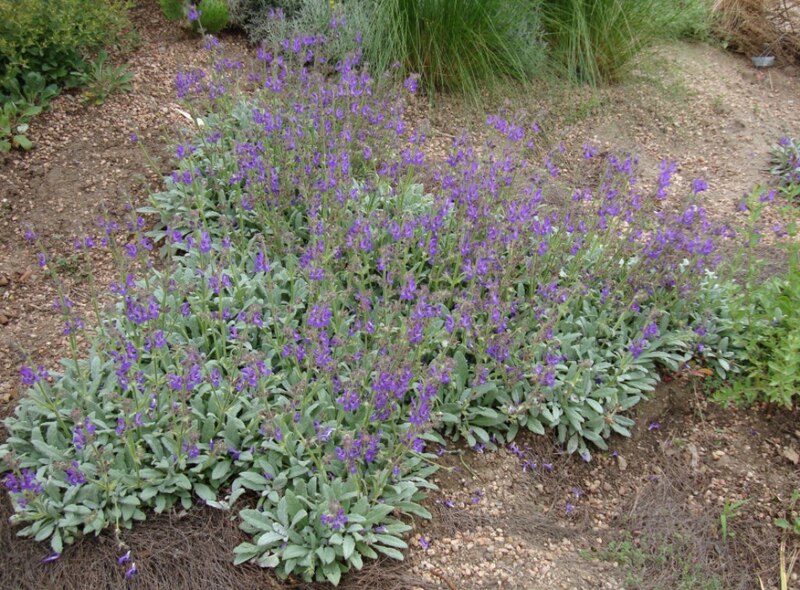 Prairiebreak: Salvia mundi redux: The Salvia canescens complex. 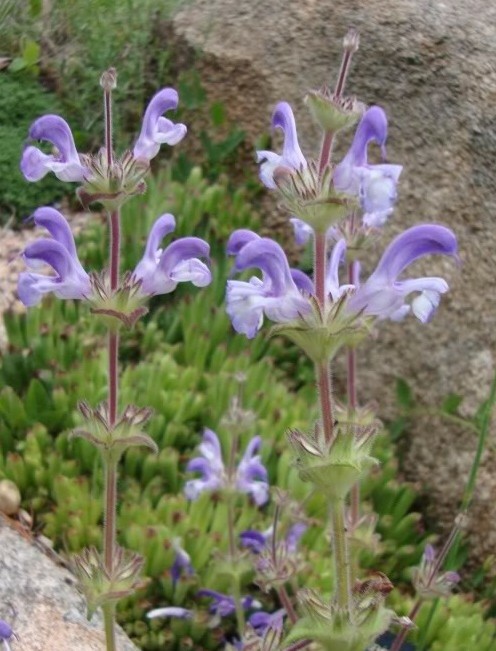 Salvia mundi redux: The Salvia canescens complex. Does the world really need another salvia? I featured a closeup of Salvia phlomoides from Morocco (collected by Mike Kintgen, and photographed in his garden this spring) earlier this spring and I think you will agree this deserves a second view. 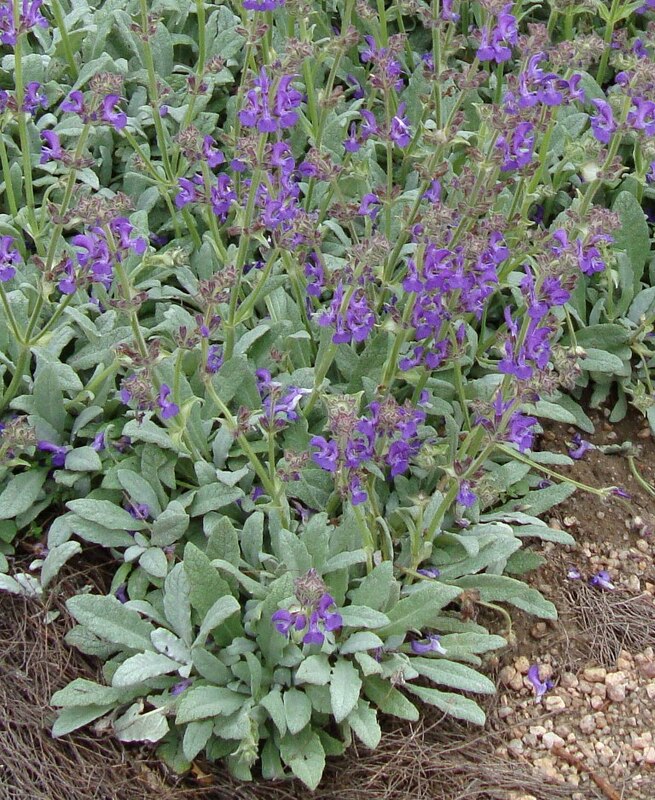 There is an astonishing website that features closeups and glamour shots of literally hundreds of salvias (interestingly enough, this one is not included!). What is intriguing to me is the variability that is found within a single species and within a section of a genus like this...incidentally, this Western Mediterranean species has a cousin found in Turkey, Salvia hypargeia (below) has lax rosettes of narrower, leaves, not quite so silvery, and much taller wands with these wonderful lavender blooms--altogether different in the garden, but morphologically quite close: indeed, they cross readily! And then, of course, the only one of this complex that is widely available in commerce is Salvia daghestanica (or Salvia canescens var. daghestanica), first introduced to horticulture by Henrik Zetterlund of Gothenburg Botanical Garden in Sweden, collected on an expedition to the Caucasus of Russia in the 1980's. This has been an alpine house treasure in Britain for decades, but in the warm, dry climate of the Rockies, it has become a glamorous and indispensible groundcover, marketed by the Plant Select program. If you click on that link you will find yet another account of this species, which rates very high indeed in my personal hierarchy of botanical beauty (a highly eclectic scale, I admit). Below you can see on of the many huge stands of this at the Gardens at Kendrick Lake where it seems very much at home. Someone at Plant Select (perhaps it was even me) came up with the "common" name platinum sage for this. I have been ribbed about this on occasion--people must have their common names, you know--and if the plant is actually almost non-existent in the trade and exotic in its origins, how on earth do you come up with a vernacular name? You make it up, that's how. And although I don't recall ever seeing wild platinum in mineral form, I don't suppose many others have either: so let's just pretend it looks like these wonderfully silvery leaves, Okay? Get over it already! By contrast, the much more diffuse Salvia hypargeia is positively green leaved. 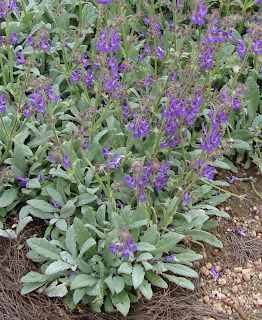 This Grex includes yet another taxon, Salvia canescens var. canescens, which grows further eastward in Asia, as far as the Himalayas. It has established a toe-hold in cultivation (with one delightful tuft in my home garden): I am sorry that I do not have it to add to this complex of pictures. It is yet another variation on a theme. Although these are close enough to hybridize, they are each worth including in a garden (in my garden). A bit of history may be of interest. I believe all the Salvia daghestanica in cultivation in America derive from a few cuttings I brought back in 1991 from Jack Elliot's alpine house. Plant Select has now made this almost a commonplace! Salvia hypargeia was first grown at Denver Botanic Gardens from seed collected by Jim Archibald, but by a decade ago we had almost lost this to our collection (and likely cultivation). Fortunately, Mike Kintgen took an interest in the latter and blew the numbers up dramatically in his home garden, reintroducing it to the Rock Alpine Garden. Salvia phlomoides was first found by Rod Haenni in Morocco, but collected by Mike Kintgen, who also grew the first plants and has distributed seed to specialty nurseries, so this is now become a plant many of us in the Front Range can enjoy. Thomas Jefferson would have approved of our work with these salvias. After all,he declared that "the greatest service which can be rendered any country is to add an useful plant to it's culture". Very nice plant, new to me! Any experiences on it being evergreen, does it die to the ground in winter, or - - -? And the mature width? You noted 6', but the plant select site for Salvia daghestanica it says 12-18" spread. Thanks for your post, might be fun to try as an option to our common Salvia chamaedryoides. The 6' across represents perhaps a half dozen or more plants put out that have combined: I think it can get several feet across in a perfect spot given time (it's pretty long lived). There are so many salvias, so little time! I have them in my garden in Sonoma county. At the moment, there are clusters of new leaves growing at the ends of the spent flower spikes. It looks like they could be grown into new plants and I'm wondering how I might do that. Does any one have experience with this? I love the plant and would like to grow more. I've bent one over and am watching to see what happens.